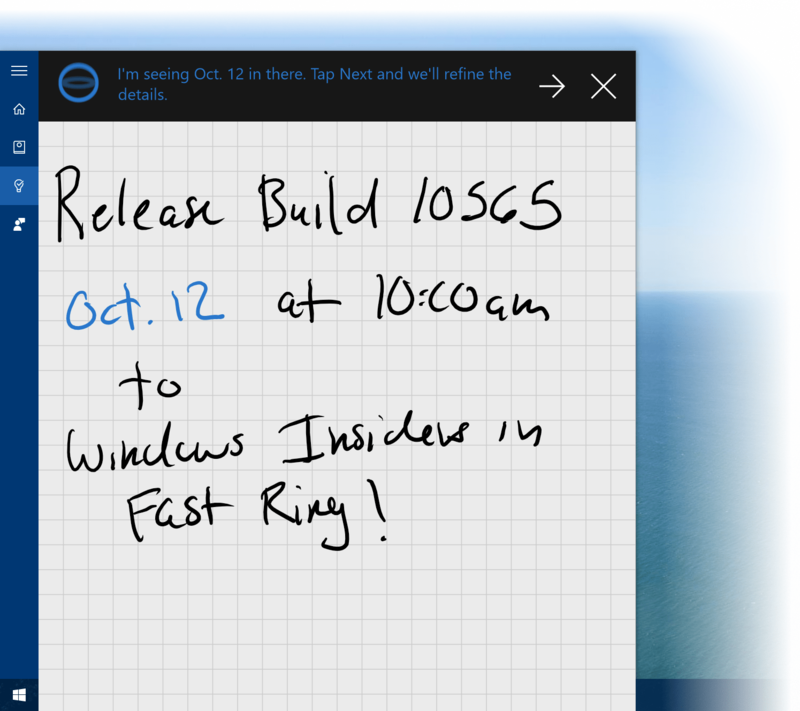 Microsoft has rolled out Windows 10 Insider Preview Build 10565, initially to Windows Insiders on the Fast ring, and then to all Windows Insiders including those on the Slow ring. In addition, the official ISO images for 32-bit (x86) and 64-bit (x64) versions of Windows 10 Build 10565 are also released to public free download. Skype messaging, calling and video experience: Skype messaging, calling and video capabilities come integrated into Windows 10 through the Messaging, Phone and Skype video universal Windows apps. These Windows applications enable quick and easy, free calling and messaging to other Skype users across phones, over 3G/4G and Wi-Fi tablets and to PCs Wi-Fi. With this build, you can preview the integrated capabilities on your PC while an upcoming Windows 10 Mobile Insider Preview build will have these integrated capabilities for you to preview soon on mobile devices. Try things like Quick Reply from Action Center where incoming notifications will come in with the option to reply inline without opening the application. Tab Preview in Microsoft Edge: In Microsoft Edge, you can now hover over your open tabs and get a preview of what’s on those websites. Syncing Favorites and Reading list items in Microsoft Edge: New syncing feature in Microsoft Edge that lets you sync your Favorites and Reading list items. New features in Cortana help you keep track of your leisure time, including movie and event reminders. Cortana will keep track of your bookings for movies and ticketed events through your email confirmations. Two hours prior to the event start time, you’ll get helpful information to be sure you know where to go and get there on time, including an option to book and track an Uber ride directly from Cortana. More vibrant title bars: Enjoy your title bars with a full color intensity that matches the rest of your theme. Title bars will now appear darker. You can adjust the color by going to Settings > Personalization > Colors. Colored title bars will appear only if “Show color on Start, Taskbar, Action Center, and Title bars” is enabled. Improved context menus on Start: Adjustments and improvements to the context menus on Start including new icons for tile adjustments. New icons: Another batch of new icons for devices (check out Device Manager). Registry Editor finally gets a new icon! Device activation improvements: It’s now easier to activate Windows 10 on devices that take advantage of the free upgrade offer to genuine Windows by using existing Windows 7, Windows 8 or Windows 8.1 product keys. If you install this build of the Windows 10 Insider Preview on a PC and it doesn’t automatically activate, you can enter the product key from Windows 7, Windows 8 or Windows 8.1 used to activate the prior Windows version on the same device to activate Windows 10 by going to Settings > Update & security > Activation and selecting Change Product Key. If you do a clean install of Windows 10 by booting off the media, you can also enter the product key from prior Windows versions on qualifying devices during setup. Managing your default printer: New mode that makes your default printer the last printer you used. This change helps ensure the best printer is preselected in inbox print dialogs. You can manage this behavior in Settings > Devices > Printer & Scanners to change this to the previous way Windows handled default printers. The ability to set a default printer by network location has been removed. Existing Windows Insiders can upgrade their system currently running Windows 10 to build 10565 via Windows Update. To download the ISO images of latest preview build of Windows 10, visit Windows Insider Preview ISO page. You can create a bootable USB flash drive, burn to DVD disc with the ISO image, directly mount the ISO and run the setup on the target computer to start installing Windows 10. To install and activate, use the product key for Windows 10, Windows 8.1, Windows 8 or Windows 7.